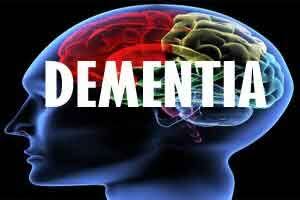 According to a new study, Dementia symptoms worsen in winter and spring in Alzheimer’s Disease. Dr.Andrew S.P.Lim at Department of Medicine, Sunnybrook Health Sciences Centre, University of Toronto and colleagues have found out that Adults both with and without Alzheimer’s disease have better cognition skills in the late summer and early fall than in the winter and spring. The study has appeared in PLOS Medicine. There has been data concerning the association between season and cognition and it’s neurobiological correlates in older persons in the past as well. In the present study, researchers analyzed data on 3,353 people enrolled in three different cohort studies in the U.S., Canada, and France. The researchers performed neuropsychological testing and, in subsets of participants, evaluated cerebrospinal fluid AD biomarkers, standardized structured autopsy measures, and/or prefrontal cortex gene expression by RNA sequencing associated with Alzheimer’s disease. They examined the association between season and these variables using nested multiple linear and logistic regression models. The authors found that there was a robust association between season and cognition that was replicated in multiple cohorts and average cognitive functioning was higher in the summer and fall than the winter and spring, equivalent in cognitive effect to 4.8 years difference in age-related decline. In addition, the odds of meeting the diagnostic criteria for mild cognitive impairment or dementia were higher in the winter and spring than summer or fall. This association between season and cognitive function remained significant even when the data were controlled for potential confounders, including depression, sleep, physical activity, and thyroid status. Finally, an association with seasonality was also seen in levels of Alzheimer’s-related proteins and genes in cerebrospinal fluid and the brain. The researchers concluded that season has a clinically significant association with cognition and its neurobiological correlates in older adults with and without AD pathology.